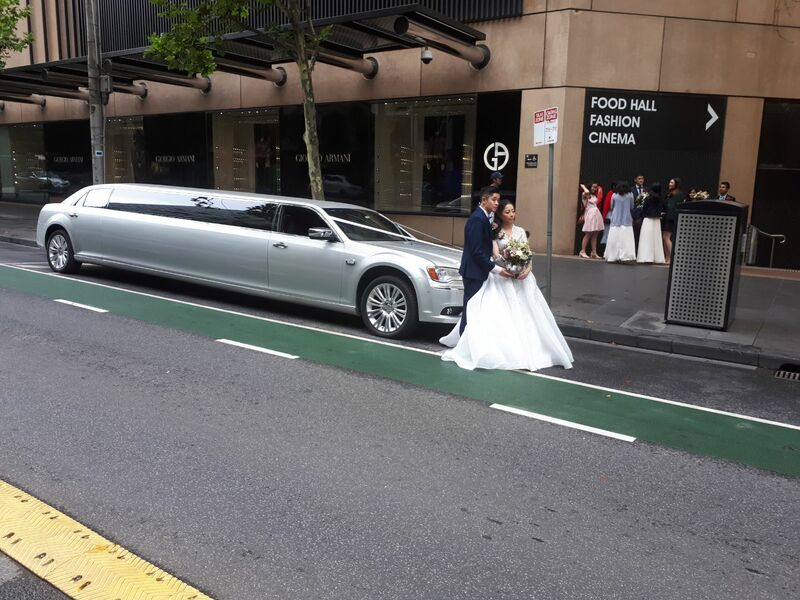 The energy in the centre of Melbourne in Summer makes it a great location, and time, for a wedding, and our silver wedding limo hire Melbourne really gets to shine. Taking advantage of photo opportunities with their silver wedding limo hire in Melbourne, the newlyweds, Mr and Mrs Trang, grabbed some beautiful pictures at Williamstown Botanical Gardens, as well as on Collins Street, Melbourne. 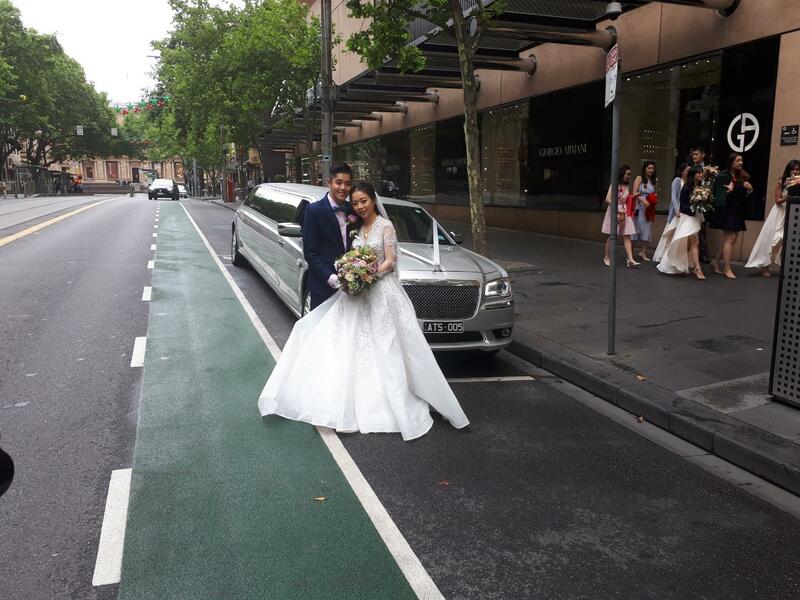 On the 30th December 2018, after a romantic ceremony and stunning photos, we transported the lovely couple in our silver wedding limo hire Melbourne to Happy Receptions in Tottenham. This is where the celebrations really began. The stunning bride wore a lace adorned gown, reminiscent of a royal wedding or nostalgic Hollywood glamour. Lace inspires romance, and when paired with delicate floral arrangements and soft, silver wedding limo hire Melbourne, makes a beautiful statement. There is something magical about the time between Christmas and New Year – time stands still in a way that we don’t often experience any other time of the year. It also means that many of our loved ones have time off from work, and are able to travel or relax and enjoy a big celebration! Many couples overlook this period when it comes to wedding planning. To add to the magic, nothing says romance more than a shimmering, silver limousine. At A Touch of Silver, our fleet of silver Chrysler limousines is designed to impress. And we think that a gleaming silver limo is the perfect romantic and festive transport for any wedding over the holiday season. Contact A Touch of Silver to finalise your transport plans, and sit pretty in a silver Chrysler limousine on your wedding day.